The blanking fun sequel. Play all-new question types and the game mode Fibbage: Enough About You (3-8 players). Guess the weird facts about your friends. The web-based frame game. Twist your friends’ “online” comments in hilarious ways. The spooky date-a-thon game. Message and date fellow monsters with special powers. The deranged debate match game. Place smart bets on stupid arguments. The one-up art game. Compete to improve the town murals. While my group and I enjoyed trying out this year's Party Pack, it's fair to say it didn't live up to my expectations. It's still a lot of fun, and there were frequent outbursts of laughter in my living room. But there really wasn't a standout title here, nothing to recommend this year's pack over previous entries in the series. It felt like all the games here would've benefited from a little more playtesting, a little more polish. I think it's telling that at the end of the night, we ended by loading up The Jackbox Party Pack 3 and playing a couple rounds of last year's Trivia Murder Party. You'll get your money's worth out of The Jackbox Party Pack 4, but you might have a better time with one of its predecessors. 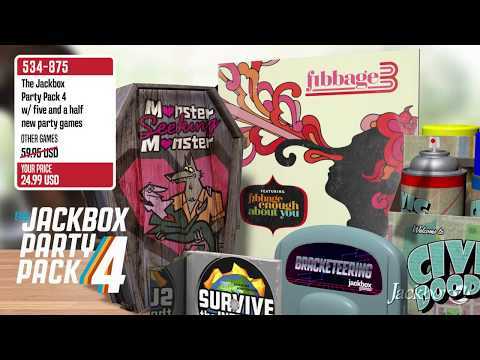 All in all, the Jackbox Party Pack 4 is a great party game bundle with far more hits than misses. Jackbox Party Pack 4 is a very solid collection of party games. In fact, it's probably the best entry in the series. Only one game is a real dud, with the other four games offering plenty of chances for hilarity. 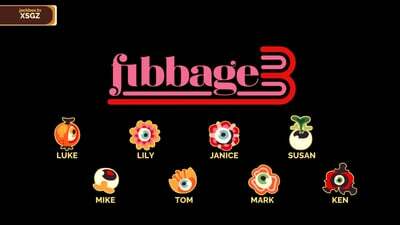 And Fibbage About You is a clever spin on the already great game of Fibbage. Even just to have for one dinner party or hangout of four or more friends, the entry price is worth it – Jackbox Party Pack 4 is a guaranteed multi-hour adventure into adult fun.